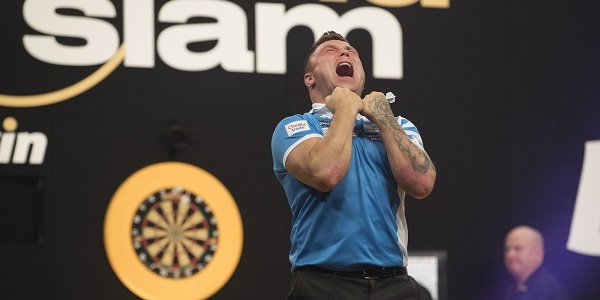 GERWYN PRICE produced a memorable fightback from 10-5 and 12-9 down to win through to the bwin Grand Slam of Darts final with a 16-12 defeat of Mensur Suljovic. The Welsh ace, a UK Open finalist in 2018, will compete for his maiden televised title on Sunday night in Wolverhampton following another resilient display. Having hit back to overcome Simon Whitlock in Friday’s quarter-finals, Price again had to show his battling qualities as he knocked out the number six seed. 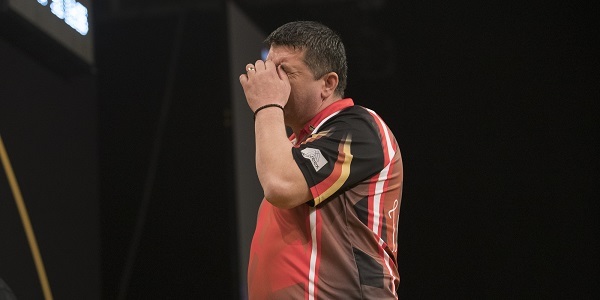 Suljovic had been in sublime form during the opening half of the game, hitting ten doubles from 13 attempts in a brilliant display of finishing to take control at 10-5, despite a 170 checkout from Price. The Welshman took four successive legs as he pulled back to 10-9, only for Suljovic to edge away to restore breaking space at 12-9. However, Price punished missed doubles in two of the next three legs and also landed six perfect darts during an outstanding ten-darter as he levelled. A 68 finish saw him regain the lead, for the first time since leg three, when he moved 13-12 up, two more legs moved him to the brink of victory and an 11-darter completed by a 100 checkout completed the fightback. “It’s great for me to be in the final,” said Price. “I was 10-5 down at one stage and I felt it should have been closer but I never stopped believing. “I got it back to 11-9 and thought that if I could get one more break I could crack him, and that’s what happened. In the second match, Gary Anderson had the match in control for a lot of the way over world number 1 Michaela van Gerwen. van Gerwen looks out of sorts with himself and had a rally into the 3rd break to level things up at 11-11 he would go on to win one more leg. Tonight’s final will be a good battle but the form Anderson is in he will be hard to beat, Price won’t be able to let him get away as Suljovic did, as Anderson won’t let the fight back happen. bwin Grand Slam of Darts – Gutsy Gerwyn’s Grand Slam Glory?